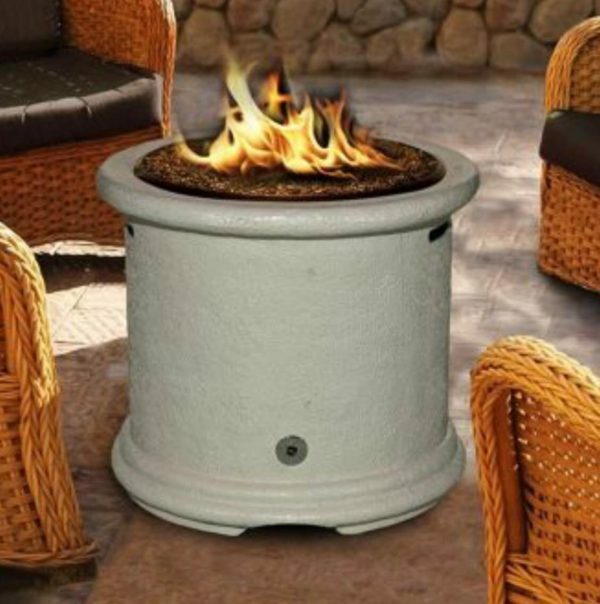 This is a great gas fire pit that fits in smaller areas but packs a lot of heat. Over 60000 btu, comes standard with colorful Fireglass, (makes the flame beautiful at night) enclosed area for a 20 lbs LP tank, natural gas orifice (so you can hook it up to natural or LP gas) and cover. Choose from black, brown or white finishes. Comes with an adjustable setting unit that allows you to go high to low flames and everything in between. We have them on display at the Anoka location.